Prof. Prajjwal Panday is an Assistant Professor of Environmental Science at Nichols College. 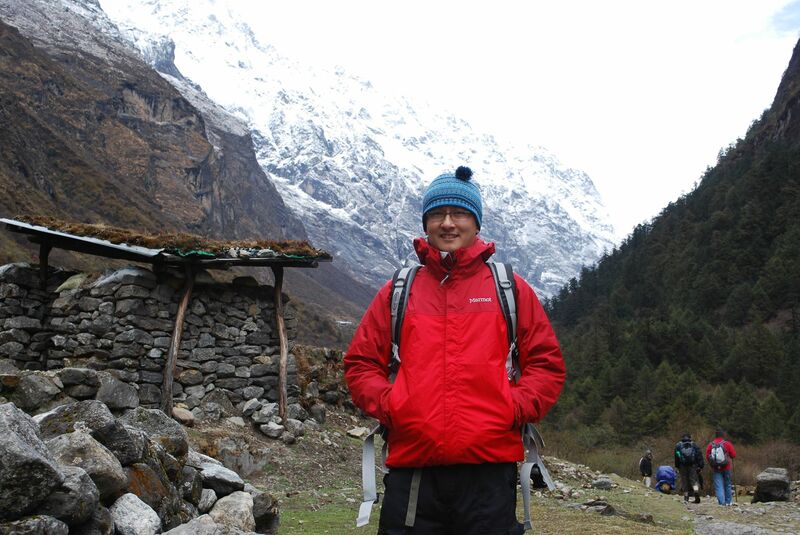 Much of his work thus far has focused on the monitoring and modeling of various components of the water cycle in some of the fastest changing regions of the world such as the Himalayas and the Amazon. He received his PhD from the Department of Geography at Clark University where he was also a Visiting Professor for a year teaching courses for the Environmental and Earth Sciences Program. 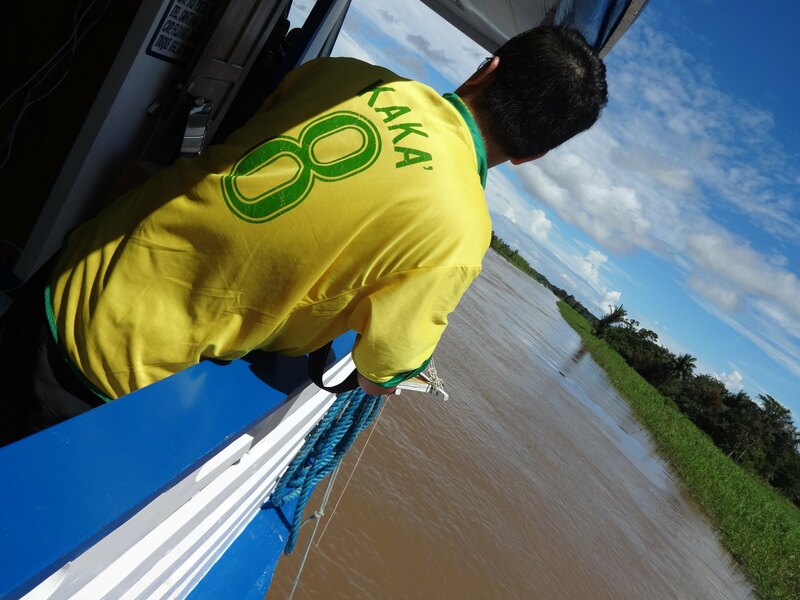 Prior to that, Dr. Panday worked at the Woods Hole Research Center, an independent research institute located in Cape Cod, Massachusetts, where he examined the impacts of deforestation on river hydrology in the Brazilian Amazon. Tell us briefly about your career journey. When did you first learn about Environment Science as a discipline? What made you attracted and what keeps you interested in Environment Science? I would have to say that I have taken a roundabout way in my career. I started off majoring in Chemistry and Environmental Studies in my undergraduate degree. For one degree, I was spending time in the laboratory mixing chemicals and in the other, I was reading about the works of John Muir, Edward Abbey, Rachel Carson, and Henry David Thoreau. The latter certainly helped foster a passion and commitment for environmental issues and challenges early on. At the same time, I was left with a feeling that there was still so much to learn about our planet especially since we were living at a time of unprecedented environmental and climatic changes. I had made up mind quite early that I wanted to pursue a higher education in the earth and environmental sciences. After getting a Master’s of Science degree in Environmental Science from the State University of New York, I found myself pursuing a doctoral degree in the Department of Geography at Clark University. Both teaching and research on current environmental issues are important to me and so in my work as an Assistant Professor, I get to enjoy both. My research has taken me to regions such as the Himalaya and the Amazon which are at the forefront of global environmental changes. In these regions are populations and communities that are more vulnerable and whose very existence is threatened by such changes. Working in these places has not only advanced my understanding of challenging environmental, social, economic, and political impacts of anthropogenic changes but also keeps me interested regarding the greater need for environmental stewardship and sustainability to pass along a safe planet to our future generations. Please tell us briefly about your current teaching and research activities. What do you enjoy about your teaching and research experience? 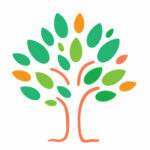 I currently teach at Nichols College which is a business college with liberal arts education. I teach introductory and upper-level environmental science courses, as well as economic geography courses. As a science instructor in a business college, I enjoy the challenge to keep my students engaged and interested in the subject matter. For some, these might be the only environmental science course they might take in their college experience. The most enjoyable part of teaching is when I take my students out to field trips which range from examining local public water supply to digging out bugs in rivers. These opportunities typically help students really get out of their shell, make them more curious, and become more appreciative of their surrounding environment. Research is important to me because it allows me to remain intellectually curious. My research spans local to regional and global environmental issues. I am working in local stream monitoring around the area where my college is and I also involve my students as part of the course field trips. I worked in the Himalayan region for my dissertation and I keep an active area of research here which keeps me connected to environmental and climatic issues in that region. One of the main features of the research is that it is also collaborative by nature. Throughout my career, I have established various research connections as well as friendships which have allowed me to keep researching in various issues and regions across the world. You did your PhD dissertation on Hindu-Kush Himalayan region from Clark University, USA. Please tell us about the research arrangement in such scenarios? I started my doctoral degree at Clark University. Typically, most PhD programs provide 3-4 years of funding (5 if you are lucky). I had the opportunity to work on a fully funded research that would require me to conduct research right here in Boston. However, I passed on that opportunity because I was interested in climate change issues in the Himalayan region, particularly in Nepal. My thesis proposal was fortunately funded through a NASA fellowship and this provided me the funds and flexibility to focus and work on the Hindu-Kush Himalaya region. As an Environmental Scientist, what are the big problems you are interested in? I am interested in understanding how water resources change as the climate and landscape changes. One of my main research areas is to analyze how human caused changes in land cover (for example, deforestation) and changes in the climate (for example changes in rainfall, temperature) impact the flow and storage of water through the earth’s systems. One of the challenges in what I do is to isolate the effects of human-caused landscape changes from natural variations in the climate. I am also interested in exploring the institutional, governance, environmental, and socio-political dimensions of water resources and access in urbanizing, developing cities. What are the career options after a PhD in Environment Science? Well, academia is certainly a career for most who pursue a PhD in Environment Science or Earth System Science. Depending on your study focus and concentration, one could work in research organization, consultancy, engineering firms, conservation, risk assessment, public health field, planning and sustainable management. These could also vary from governmental to non-governmental organizations. Tell us about a time you made an exciting breakthrough — or any other highlight in your journey so far. I had the opportunity to research in the Brazilian Amazon during my postdoc. One of the papers that I contributed as part of this project showed that protected areas in the Xingu River watershed, one of the tributaries to the Amazon, have limited the negative impacts from deforestation. Perhaps this might not be a groundbreaking study particularly since it is well known that forests are important aspects of the earth’s climate system. For me, this piece was rewarding to quantitatively show that the flow of water has changed in areas where forests are being cut but that the protected areas have limited these negative impacts. Basically, it was a good scientific proof that protected areas and conservation works! I was also fortunate enough to visit the Amazon as part of this research group. We spent about seven days on a riverboat sleeping on hammocks! It was certainly one of the highlights of my research journey. Tell us about a time you had serious doubts about your own ability in the fields you chose. How did you overcome that? I felt like I was always aware of abilities and boundaries. I would say that pursuing a PhD can be a long, frustrating journey sometimes. As I mentioned earlier, a major portion of research is also about writing proposal and getting funding. When I first applied for the NASA fellowship during my PhD, I thought I had the best proposal and was stunned and upset when I did not receive the funding the first time. However, I took in all the comments and suggestions from the reviewers and my proposal was funded the second time around. Getting your proposal funded is always a good feeling and a validation of one’s research study. What qualities would you look into a prospective graduate candidate in your field? How can prospective graduate students prepare themselves? I consider myself working within the Earth System Science (ESS) discipline which examines and emphasizes the patterns and processes across the Earth’s spheres. It would be desirable for a prospective graduate candidate interested in this type of field to have a good mix of field work experience or data analytical skills. As ESS scientists, we are continually trying understand Earth’s surface processes at a small scale where we might collect field data over a certain period (within PhD time frame) to test certain hypotheses. The collected field data can then be used to inform or construct models of our system of interest or to scale up to a larger regional scale all of which use ‘big scientific data’ (climate data, satellite imagery, etc.). For the latter, one would probably have to be proficient in some sort of programming language. I am a big proponent of open source software so picking up programming in an open-source language (R cran, Python, Google Earth engine, etc.) early-on would be very beneficial as well. Can you recommend 3 resources for people looking to get into your field ? a. ES JOBS listserv: This might be for students within academia but this has jobs (research, post-docs, faculty) advertised on a daily basis. b. The American Geophysical Union (AGU) is probably the largest body of Earth and space scientists globally. I would advise students to become members so they remain connected with ground-breaking science as well as opportunities for research. c. If you are interested in earth or geoscience, I would probably suggest looking for an undergraduate program with a geoscience, environmental science, or earth system science department. Many Geography departments in North America and Europe typically also offer expertise in these fields. I have always had mentors across various stages of my professional career. My dissertation committee members have certainly played an important role in shaping my research and career trajectory. I worked at a non-profit organization for three years as post-doc and I was lucky to have several peer mentors at the institution to guide me as well. Work is an integral part of my professional life but only part. I would say that I have had mentors who not only helped me shape my professional life but also with other important aspects such as work-life balance. I have made several career decisions in my professional life (college, job choice, etc.) and sometimes you wonder what could have been had you taken the other path. One of the advice I received early on was that no matter what path you follow, it always works out. As cliché as it sounds, I do think that if you work towards your goal and what you are passionate for, it will always be the right decision. Being a young professor must be very demanding. How do you maintain your work-life balance? An early career faculty certainly faces many challenges. While one is adjusting to a new college environment, there are certain responsibilities in the university which is usually divided as various proportions of teaching, research, and service. Depending on the type of university and department, you can be expected to either focus mostly on teaching or also run a successful research program while teaching courses. I am at an institution which is focused more on teaching, therefore, most of my research occurs during the summer months. As hard as it is to stay on top of things, I have found that if I am at least a week ahead in my course preparation, it helps me greatly to stay sane. Family and home provide me with the much-needed break and I try my best to spend the weekends fully with my family. With two young kids, life is busier than ever but I enjoy every bit of it really. I also play pick-up soccer for a few days which helps me wind down (literally). I recently attended a workshop for early-career faculty. Some of the things I learned there, I wish I was given early on. Nihil Nimis (nothing in excess) – Work, play and live at a steady pace. Set realistic goals. Decline graciously when needed. Be compassionate with yourself. What are your observations about Environment Science education and research in Nepal? What would be your advice and recommendations? There are a lot of institutions and organizations that offer programs and research work in Kathmandu for students who are interested in Environmental Science. For example, ICIMOD has been doing great scientific research, education, and outreach for decades. Some of the research they are doing these days are cutting-edge research collaborating with researchers from all around the world. I have seen many postgraduate students starting as interns at places like ICIMOD to gain experience and continued either to work as full-time researchers to go abroad for higher education and training. I have also seen several smaller international research groups actively working in Nepal. All of them have some sort of affiliation with a university in Nepal and if students can collaborate with these research groups in any capacity, the experience will be invaluable. I would also advise students to attend conferences and workshops nationally and internationally if possible. There are usually funding opportunities for students from developing countries to participate in international events. As I keep stressing, networking and connecting with people is as equally important as it helps open up important dialogues and opportunities. Your final words of advice for someone who wants to get into your field. I would say never hesitate to ask questions (email, phone, text – whichever works). You cannot wait for someone to approach you and lay out the path you have to follow. There are several opportunities out there and most of the time, all we have to do is to talk and connect with people to discover these. You may be qualified and talented but at the same time, you may be one conversation or email away from an amazing career opportunity.